Some of you might have seen that on Saturday the 7th July, K2 claimed its 84th victim. 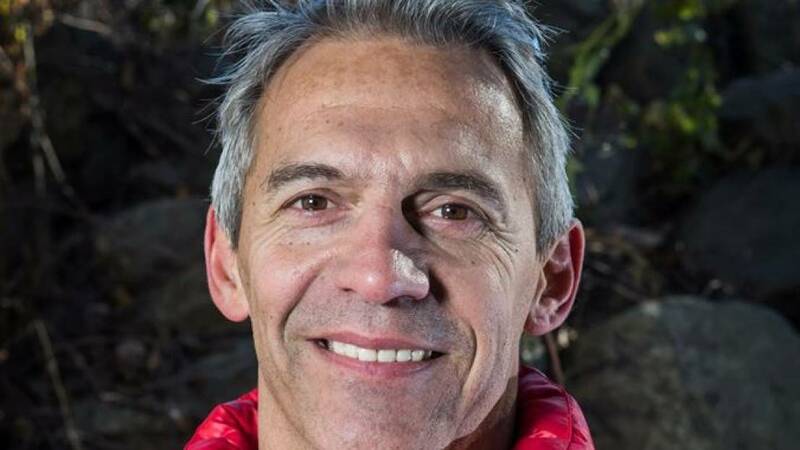 Canadian (proudly Québécois) climber Serge Dessureault fell to his death whilst descending the ‘House’s Chimney’, just below Camp 2. It is suspected that the rope that he was abseiling on broke (whether it was an old rope, or a new one which was damaged, we don’t quite know). His body was recovered at the base of the route, some 1500m below and was later evacuated/repatriated by helicopter, which also took his team mates Natalie and Maurice. Every death on a mountain is a tragedy – people paying the ultimate price in pursuit of their dreams (and this one doubly so, as it seems like such a freak accident). However Serge’s death seems doubly tragic – he leaves behind a wife and two daughters. I met his wife whilst we were trekking into basecamp – she and some friends had accompanied the climbers on the walk in, and they were themselves making their way out, leaving the Serge, Natalie and Maurice to focus on the climb. I climbed with Serge on K2 in 2016, and he was one of the first people that I made an effort to go and visit when I arrived in basecamp. I remember fondly sitting with him (and N&M) in their mess tent drinking Cadbury’s hot chocolate gossiping and discussing the up coming climbing season. I also gave him a huge telling-off for not bringing gallons of maple syrup from Canada – something that I’d told him that I’d been expecting ever since I found out that we’d both be here this season. He found this very funny, and said that he was expecting me to bring it! A firefighter back home, he was committed to serving his community, as well as setting all sorts of incredible personal challenges (of which K2 one of many), especially around endurance events and ultra marathon events. His family are in my thoughts and prayers at this incredibly difficult time – I cannot imagine what they must be going through, and him leaving a wife and two daughters is certainly not lost of me. I hope that they can find some solace in the fact that he died doing something that he was committed and passionate about, and his focus, determination, generosity, easy smile and wonderful sense of humour made him an inspiration and a beacon of light to all of those around him. My life is that much richer for having known him and I thank the Lord for having had the privilege to have known him, however briefly. I visited the Gilkey Memorial near basecamp today and thought of Serge. Wherever you are mate – I hope the maple syrup’s good! It’s been an honour. As a small aside, partly as a result of this accident, nearly 3000m of fixed rope has been replaced between the base of the route and C3 (7300m)in the last 3 days on K2. I hope that part of Serge’s immediate legacy on K2 is increased safety for all climbers. Use the form below to sign up for regular newsletters on Jake's progress. Please note that initially this will be a weekly or bi-weekly email, but during Jake's climb the frequency will increase. You will not be sent any other emails and we will not share your email address with anyone else.